When I look into the future, I am frightened, But why plunge into the future? Only the present moment is precious to me, As the future may never enter my soul at all. O present moment, you belong to me, whole and entire, I desire to use you as best I can. 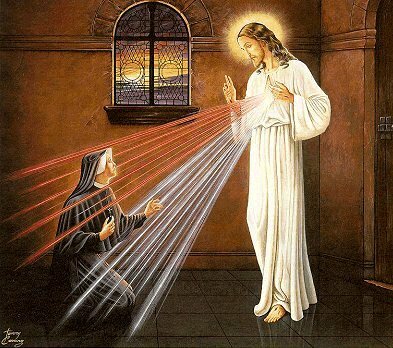 As I wrote last week, in (Part One) The DM Trifecta, The Divine Mercy Chaplet was dictated to St. Faustina by the Lord Jesus Himself in Vilnius on September 13-14, 1935, as a prayer of atonement and for the appeasement of God‟s wrath (see Diary, 474-476). By means of this prayer, the petitioners request “mercy on us and on the whole world,” and by so doing, they perform a work of mercy. If the faithful add to this the foundation of trust and fulfill the conditions regarding every good prayer (humility, perseverance, matters in conformity with God’s will), they can expect the fulfillment of Christ’s promises which are particularly related to the hour of death: the grace of conversion and a peaceful death. Not only will the people who say the Chaplet receive these graces, but also the dying at whose side others will recite this prayer. For the Second Part of The DM Trifecta we will focus on: The Great Hour of Mercy. 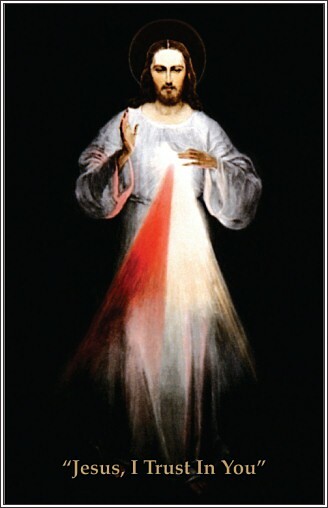 Just as the Image can serve as a reminder of the ocean of Divine Mercy, as well as its price, so can the daily remembrance of the Divine Mercy at the hour of Christ’s death. 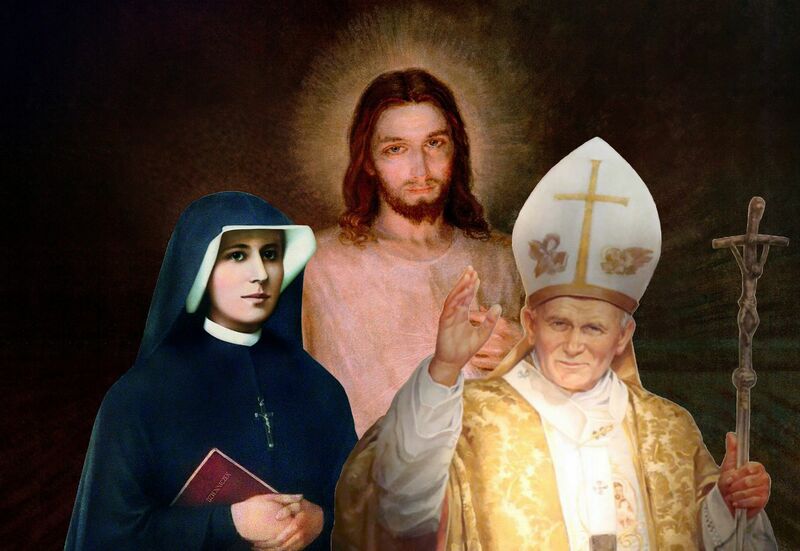 Jesus asked Saint Faustina, and through her us, to celebrate this Hour of Great Mercy, promising tremendous graces to those who would, both for themselves and on behalf of others. 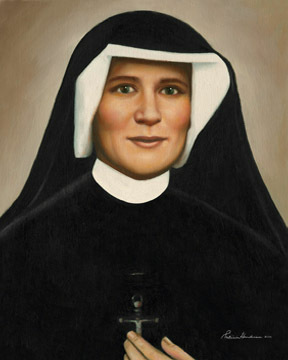 In October, 1937, in Cracow, under circumstances that are not fully described by [St.] Faustina, the Lord Jesus recommended that she honor the hour of His death: “….as often as you hear the clock strike the third hour, immerse yourself completely in My mercy, adoring and glorifying it; invoke its omnipotence for the whole world, and particularly for poor sinners; for at that moment mercy was opened wide for every soul” (Diary, 1572). 2. They are to be said at three o’clock in the afternoon. 3. They are to appeal to the value and merits of Christ’s Passion. At 3 O’Clock on Good Friday, Jesus died in incomprehensible agony on the wooden Cross which the Roman soldiers had nailed Him to. The soldier appointed to watch the bodies checked if the three whom they had crucified were still alive, but when he examined Jesus, he discovered Jesus had already died. So he did not break His legs, which was a Roman custom, thereby fulfilling the prophecy “Not one of his bones will be broken” (Psalm 34). Instead, he took a spear and pierced His sacred body, driving the iron blade into His Merciful Heart. As he withdrew the spear, there followed a gush of blood and water. The soldier was shocked and gave witness to St. John, the beloved disciple of Jesus, of this event. It is this moment which changed the world forever, and it is this prayer that commemorates that extraordinary moment. The Passion of Jesus is the proof of His love for us. He underwent this horrifying ordeal so that He could forever stand between us and the uncompromising Justice of the Father and ask for mercy on our behalf. At the moment of our Judgement, we cannot defend ourselves and it is not possible for God the Father to be unjust. He must exercise justice and punish sin, as He ordained that the world should be created in this fashion. Although it is Jesus who underwent this agony so that He could beg mercy for us, He was fulfilling the Will of His Father. It was God’s Will that there be a means by which He could grant us pardon and therefore prevent Him from rendering justice to sinners. It shows us the incomprehensible mystery of the mercy of God. For He created a way so that He could grant mercy to those who don’t deserve it; while it shows His Love and His desire that we spend all of eternity with Him in perfect peace, tranquillity and love. In many ways, God has set events up so that He could have an excuse to forgive us, for that is His true desire, the hallmark of His perfect love, His desire to forgive and forget, so that souls can be re-united with Him in love. This holy hour is an exceptionally important element of the devotion to Divine Mercy. For if we do not take the time everyday to contemplate and understand the mercy of God and the sacrifice that Jesus made for mankind, how can we understand the purpose of the Chaplet, the Image, the Novena and particularly the Feast of Mercy? 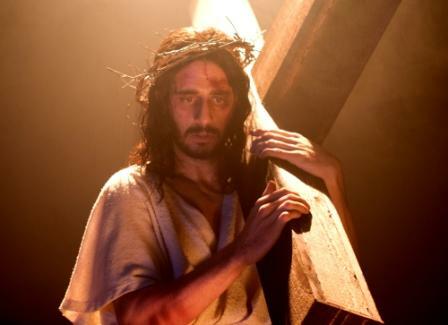 The Passion of Jesus teaches us what true mercy is. How can we grow in love of God if we don’t trust Him? And if we don’t understand the depth of His mercy, we may never truly trust Him and therefore never truly love Him. We will be forever standing afar from Jesus, fearful and distrusting. But Jesus understands the reasons why we behave like this. We are viewing Him through our human experience where doubt, fear and an unwillingness to forgive, condition our everyday lives. We refuse to believe that God is as good, as merciful and as loving as He says He is and as He has proven He is. It is for this reason that the 3 O’Clock Holy hour is so important, for it is only through meditation on the Passion of Jesus that we, in our own way, will begin to understand how incomprehensible and infinite His mercy is and also believe that He has forgiven us. Only then can we believe in His Goodness and only then will we feel in our souls His love and mercy for each and every one of us, regardless of our past sins. 3 o’clock hugs n’ blessings to you, and to the whole world!